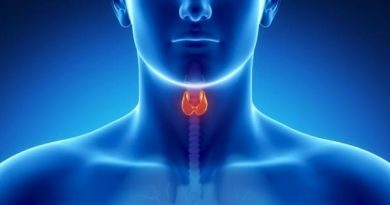 Thyroid gland is the largest endocrine organ its function is to secrete thyroxin (T4) & triiodothyronine (T3). The isthmus of the thyroid gland is located midway between apex of thyroid cartilage & suprasternal notch. Thyroid gland has a rich blood supply & the blood flow to thyroid gland is about 5ml/gm/min so it’s very high blood supply. The thyroid gland is palpable in about 50% of women and 30% of men. It is located in the neck, inferior to the larynx and cricoid cartilage. It has two lobes, each about 5 cm long and joined by a narrow isthmus. The lobes lie either side of the trachea and oesophagus, and the isthmus crosses the trachea anteriorly, usually over the second and third tracheal cartilages. The thyroid gland is surrounded by a fibrous capsule derived from the pretracheal layer of the deep cervical fascia. Extensions of this capsule into the body of the thyroid create septae, which divide the gland into lobules. This connective tissue firmly connects the thyroid to the larynx and explains why the thyroid moves on swallowing. The thyroid is highly vascular, and a bruit (the sound of turbulent blood flow) is sometimes heard in overactive glands. It is supplied by two arteries that anastomose (join) within the gland: the inferior and superior thyroid arteries. The inferior thyroid artery is a branch of the thyrocervical trunk that arises from the subclavian arteries. It ascends behind the carotid sheath to enter the thyroid posteriorly. The right recurrent laryngeal nerve is intimately related to this artery near the inferior pole of the thyroid gland. Surgery to the thyroid gland can damage this nerve, causing temporary difficulty with speaking. To minimize the risk to this nerve, the artery is ligated far away from the thyroid gland during thyroidectomy. The superior thyroid artery is usually the first branch of the external carotid artery. The external laryngeal nerve is related to this artery, but it is at less risk than the recurrent laryngeal during thyroid surgery. The superior thyroid artery is ligated close to the thyroid gland to reduce this risk. A third artery, called the thyroid ima artery, is present in 10% of people. It supplies the isthmus and it arises near the aortic arch, although the exact origin varies. The first two veins drain into the internal jugular, whereas the inferior vein drains into the brachio-cephalic veins. The thyroid is composed of about one million spherical follicles or acini. Each follicle is lined by a single layer of secretory epithelial cells (follicular cells) around a colloid-filled space. These cells secrete thyroglobulin into the lumen of the follicle, and thyroid hormones are synthesized from thyroglobulin at the cell–colloid boundary. When the thyroid gland is not actively secreting hormones, the size of the colloid store and the follicle itself increase in diameter. When the follicular cells enter an active secretory phase, microvilli form on their inner surface and thyroglobulin is absorbed. The colloid store shrinks as a result. 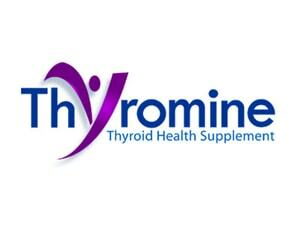 The absorbed thyroglobulin is broken down to release thyroid hormon. Another type of secretory cell is found between the follicles. These parafollicular cells (C cells) synthesize and secrete calcitonin.